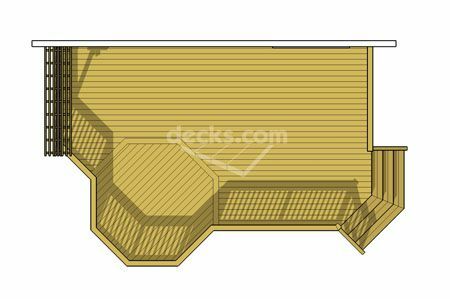 This plan creatively incorporates a 10' x 10' ocatgon into a large 1 level 26' x 18' deck. 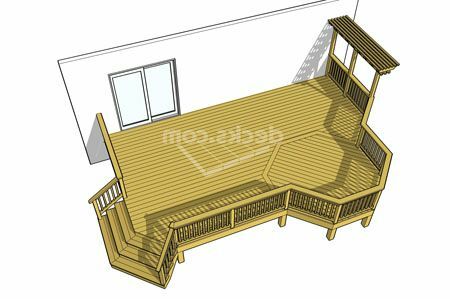 This design also features an interesting arbor to provide shade which is balanced by an angled stair on the opposite side to open the plan to its surroundings. 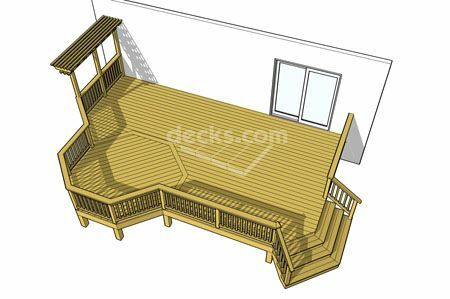 Perfect for relaxing and entertaining.